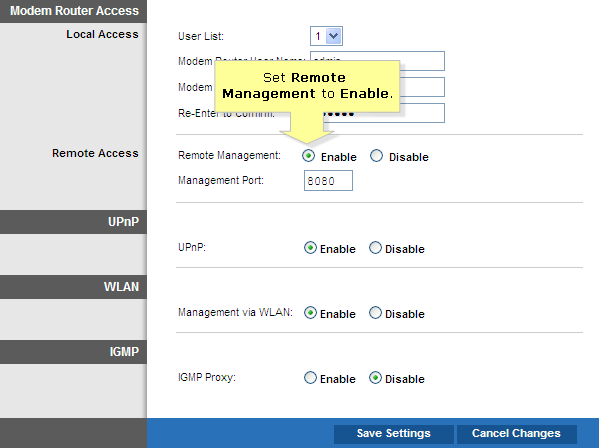 The Remote Management feature on the ADSL Gateway allows you to manage the gateway from a remote location, via the Internet. 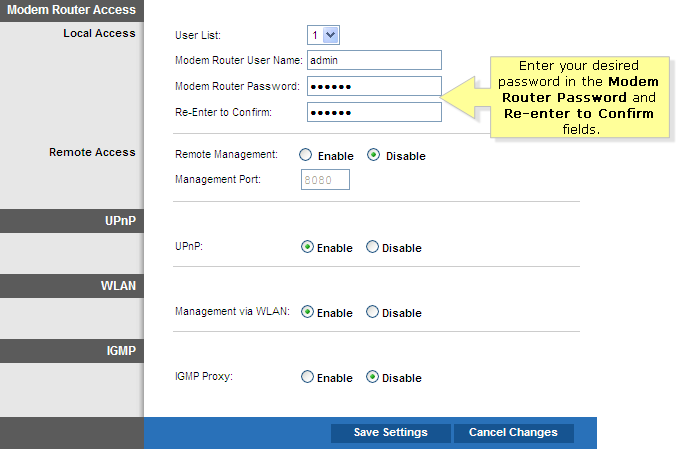 Managing a Linksys gateway from a remote location is similar to accessing it locally. The main difference is, instead of typing the gateway’s LAN IP address in the web browser’s address bar, you have to type the gateway’s Internet IP address. 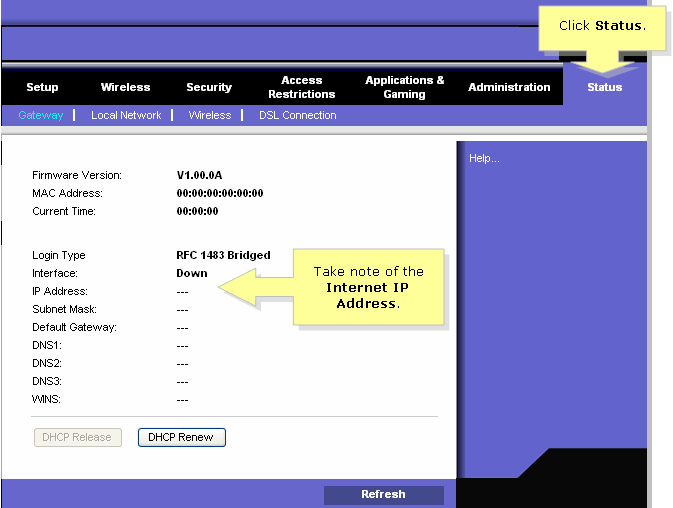 Click Status and check the gateway’s Internet IP Address. NOTE: If you are using WAG320N, your screen may be similar to the image below. On the Setup page, click the Administration tab. 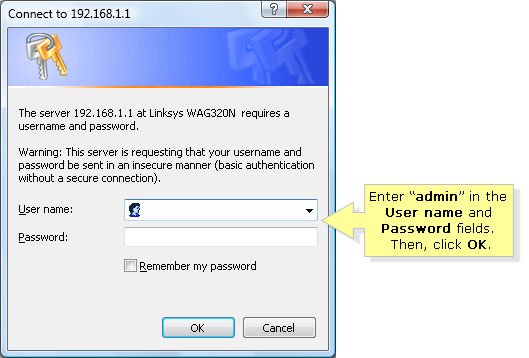 Change the Gateway Password for added security. 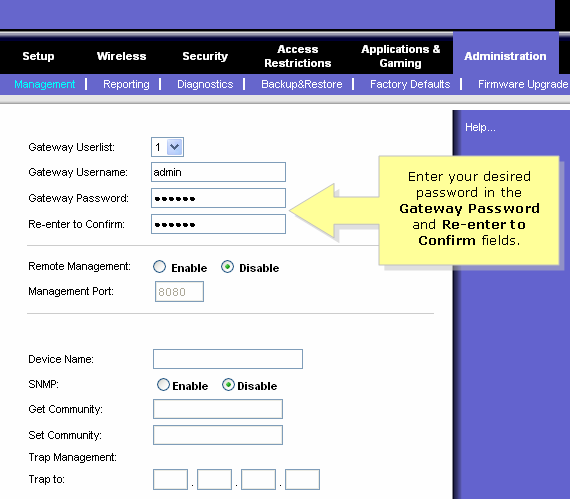 Enter your desired password in the Gateway Password and Re-enter to Confirm fields. 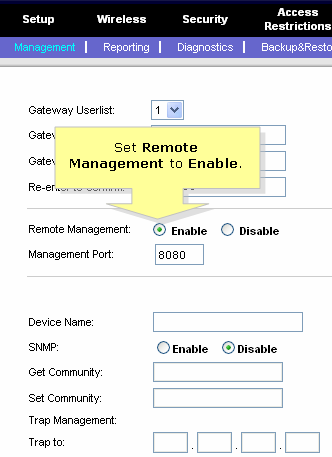 Set Remote Management to Enable. 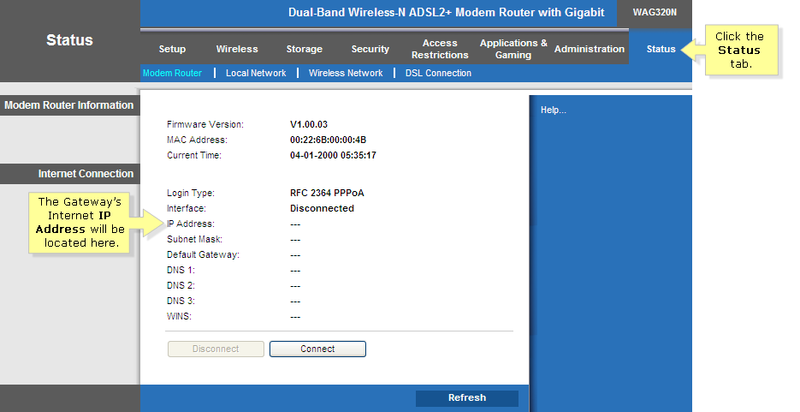 Using a computer that’s connected to the Internet from a remote location, launch Internet Explorer and enter “http://0.0.0.0:8080” (the 0's represent the gateway's Internet IP address, and 8080 represents the specified port) in the Address field. NOTE: “http://0.0.0.0” is only used as an example here, and user should NOT enter “http://0.0.0.0” as their IP address. NOTE: The 0’s represent the gateway’s Internet IP address which you took note earlier. 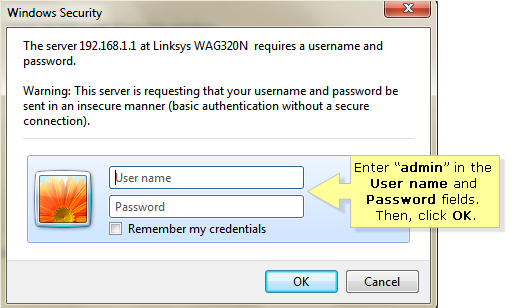 A new window will appear and will ask for a User name and Password. 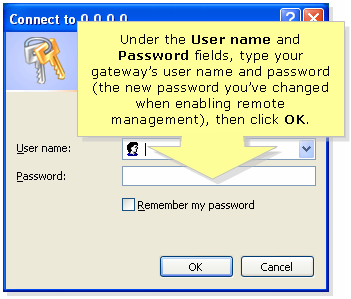 Leave the User name space blank, enter your gateway’s password (the new password that you’ve changed when enabling remote management), then click OK.
You should now be able to access the gateway’s web-based setup page remotely.